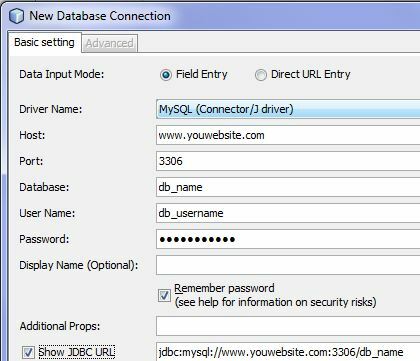 Connecting to a remote MySQL database server is easy with Netbeans. You will need to get most of the details from your webhost, or logging into cpanel, plesk or whichever utility your webhosting provider has given you. 2. If you’re getting a message such as “access denied for user db_user”, you might not have configure your remote server’s access host yet. For that, please refer to how to connect to mysql server remotely. Thank you! I’d been looking for this info, yours is neat and clear. thanks. i tried similar procedure to connect to my cpanel mysql db but it failed to connect. i have added my ip as a remote client in the cpanel but i still cant connect. any help?? thank u David. interesting explanation. i try to connect my laptop with my desktop with LAN and the desktop acts as a server and the laptop as client. i create mysql database on my laptop and when i access the databse it retrives error message” IDE unable to establish connection”. i am not clear with giving of the host and port number.